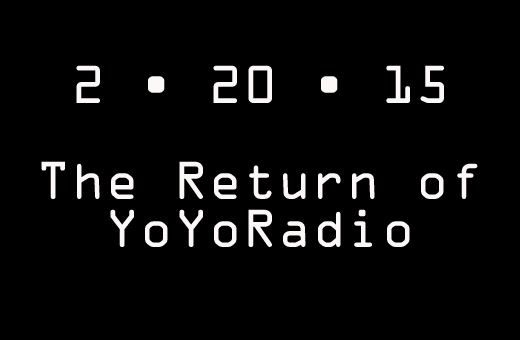 After one of our patented extended hiatus’, we’re back, live, on Friday, February 20th at 9 PM (EST). Our guests this week will be Michael Kurti from CLYW, who just edged out Zach Gormley for the 1A title at the Pacific Northwest Regional Yo-Yo Championships; we’ll also talk with Duncan’s Zac Rubino, 2014 USA National 4A Champion, about the recent reboot of YoYo USA. Plus, we’re going to talk to the one and only JonRob, in the latest edition of “Ask Mr. Robinson,” where JonRob will answer your questions on life, love and yoyoing. The show will be live, just like in the olden days. We experimented with recording the podcast, but thought it lacked a little of the spontaneity of doing it live. Tune in, live, on Friday!